Product prices and availability are accurate as of 2019-04-20 00:20:00 EDT and are subject to change. Any price and availability information displayed on http://www.amazon.com/ at the time of purchase will apply to the purchase of this product. 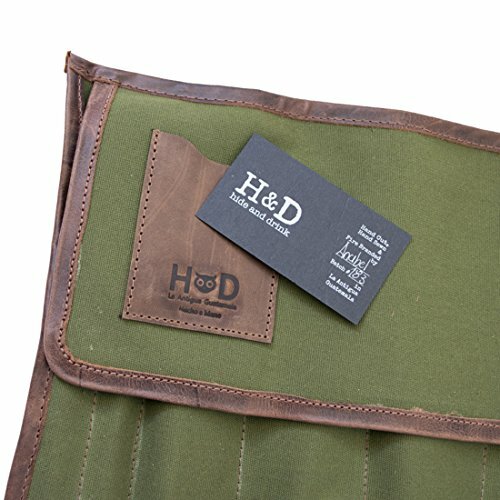 This stylish Waterproof Canvas Tool Roll is hand-cut and handcrafted with the finest materials to give a unique home to your favorite tools. 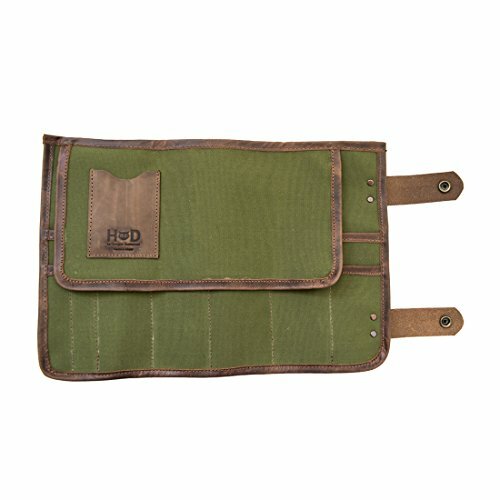 The Canvas Tool Roll is rugged, classy yet unassuming. Easy to use, easy to carry, this is the perfect addition for all mechanics, DIY enthusiasts, and an excellent accessory for the beardy types. With 14 pouches, you can safely store all of your trusty tools, scissors, blades, etc. Hide & Drink's Waterproof Canvas is a material that will last you generations. Canvas is an ancient material, one of the oldest, in fact, and is still in use nowadays. It really is exemplary of a material that is tried, tested and true over time. 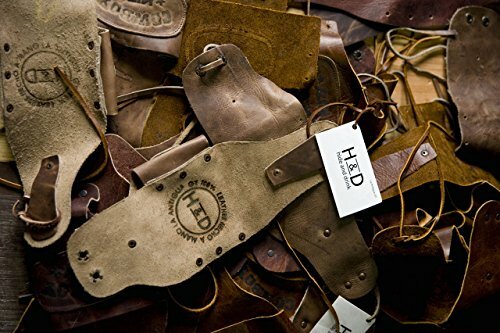 Our Full Grain Leather comes from the top layer of the hide, and has all the natural full grain characteristics of the hide...hence the name. It's the best leather you can buy and the only leather that we use. 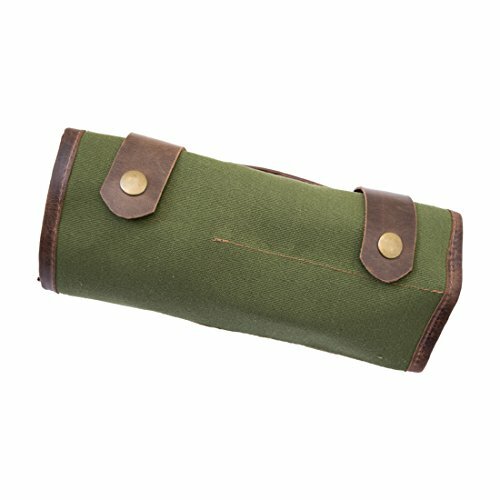 VINTAGE-STYLE TOOL STORAGE: Give your tools a touch of class and a stylish home with this finely handcrafted Waterproof Canvas Tool Roll. Perfect for DIY beginners, enthusiasts and specialists, this is also an excellent accessory for professional barbers and travelers who take shaving seriously and want to look good on the road. 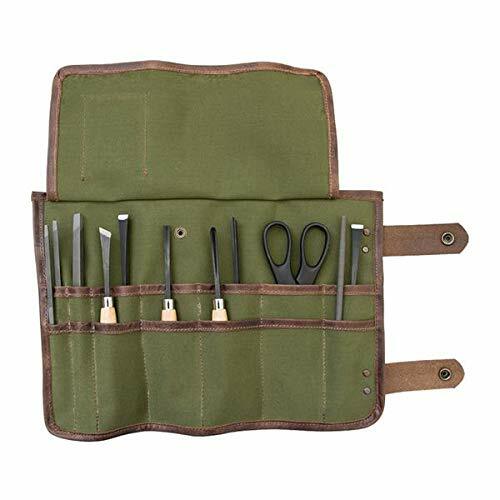 Crafted using high quality Canvas for durability and protection, this is a stylish answer to your storage needs for your most prized tools. MADE WITH HIGH QUALITY MATERIALS: The Tool Roll is hand-cut and handcrafted using only the highest quality Waterproof Canvas. 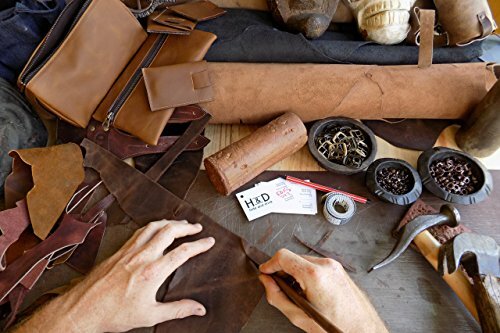 Our Canvas is durable, attractive, and the rugged touches of Full Grain Leather compliment the Canvas and will attain a unique patina after time and use. This is the only way to store your tools with due care and respect, as well as something to be handed down over generations. PLENTY OF SPACE FOR YOUR PRIZED TOOLS: With 14 tool slots, you can store a variety of small to medium sized hand tools. Perfect for when you're on the go as it rolls up neatly and securely closes with heavy duty Brass Metal Snaps for that finishing touch of grace and style. Great protection for your prized tools. (Comfortably fits tools in picture that have a 2.5 inch circumference handle. Longest tool that could fit measures 8 inches in length.) COMPACT & LIGHTWEIGHT: The Waterproof Canvas material is perfect for offering protection against all weather, and then neatly packing away in your bag for when you're on the go. Offering style and security, the Tool Roll looks after your tools so you don't have to worry. SIMPLE AND FUNCTIONAL DESIGN, MAKES A GREAT GIFT: This makes an excellent gift for anyone and everyone, from those who enjoy a bit of DIY around the house, to the professional craftsmen and women. This Tool Roll also serves for other trades and hobbies, it's great for barbers, the bearded traveler, excellent for storing your tools on the go or traveling, perfect for your wrenches and tools for your motorbike or car. If you're a nomadic, bearded motorbiker then this tool roll is for you!